Scott Brown continued his taunting of Rangers and their fans as the Celtic captain took to social media after yesterday’s Old Firm derby victory. The midfielder posted a series of pictures from the 2-1 win and included the caption: “Great result lads. Really enjoyed today.” He also included a number of fishing emojis, celebrating his successful baiting of his Rangers opponents. The 33-year-old was involved in three separate flashpoints at Celtic Park, two of which led to red cards for Rangers players and another who’ll surely face retrospective action. The first saw Alfredo Morelos sent off for a fifth time this season. The Rangers striker lashed out after Brown tripped him as the pair walked up the field. After Celtic netted their late winner through James Forrest, away goalscorer Ryan Kent appeared to punch Brown before play was restarted. 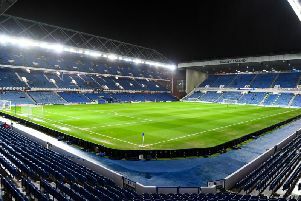 Once the game was finished, Andy Halliday was shown a second yellow card following a confrontation with Brown after the Celtic star had celebrated in the direction of the away fans.